Rob Zombie, no other name in the horror genre stirs more polarizing emotional responses than this man. Fans either love him or they hate him, there is no middle ground. Yet the man has proven himself as a more than capable filmmaker and a powerhouse in the genre. These qualities and more are why the next installment of Friday the 13th franchise should be helmed by this man. First lets look at the facts before we get bogged down by opinions. The fact is Rob Zombie is very fiscally responsible. He doesn't require excessive amounts of money to churn out a quality product. Case in point, Halloween (2007). With a budget of only 15 million he was able to bring in 80 million world wide and it still sits as the highest opening weekend for a movie over Labor Day weekend ever. And when looking at all of Zombie's films, each one was able to bring in three to four times its budget (barring Lords of Salem). So from a financial standpoint the risk is very low and WB/New Line are sure to, at least, break-even. Going hand-in-hand with the financial aspect is shooting time. Zombie can shoot a feature in 40 days or less because of his meticulous planning of each and every shot. This has been documented at great lengths on House of a 1000 Corpses, Devil's Rejects and Halloween DVD's. By doing extensive planning he is able to make his days and some. When it comes to horror you want someone who can make their days on time, under budget and is fully aware that this is a horror film, not a arthouse, Oscar contention film. Lastly Zombie works extremely well in the Slasher sub-genre of Horror. His most refined talents lie within his ability to execute death on screen in visually amazing ways. 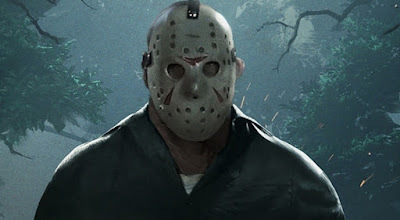 And that is what Friday the 13th is built upon, awesome kills by a man in a hockey mask. Zombie's over the top kills fall perfectly inline with this series, more so than they did with Halloween. This is one of the few franchises where the more sick and vicious the kill the better (Only TCM would be the most suited to his style). I'm sure I could go on and on about Zombie and why he could do the property justice and I'm sure many could do the same about why he couldn't. But when it comes to simple, body count, splatter horror Zombie can bring it in Spades. And where the franchise is at right now it would be impossible for him to ruin it, the only place it can go is up.